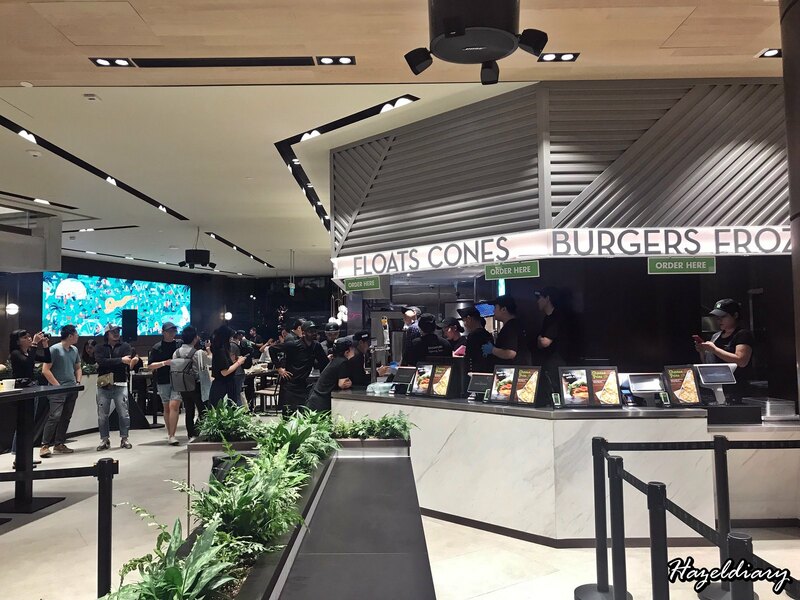 Shack Shack has partnered with SPC group, a leading global food company based in the Republic of Korea to bring Shack Shack to the Lion City. This Korea-based global food company is also operating brands such as Paris Baguette, Paris Croissant, Passion 5, Coffee@Works and many more. We started off our media preview few days before the official opening. 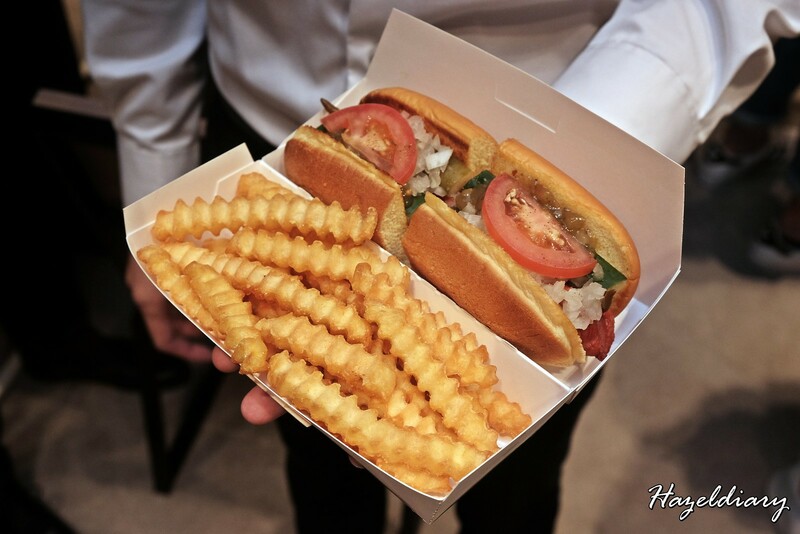 This is the first how Shack Shack started as a hot dog cart in Madison Square Park- Shack-cago Dog. Featuring a 100% all natural beef hot dog split and crisp then topped with relish, onion, cucumber, pickle, tomato, sport pepper, celery salt and mustard. I personally feel that taste would be better if it’s less salty. 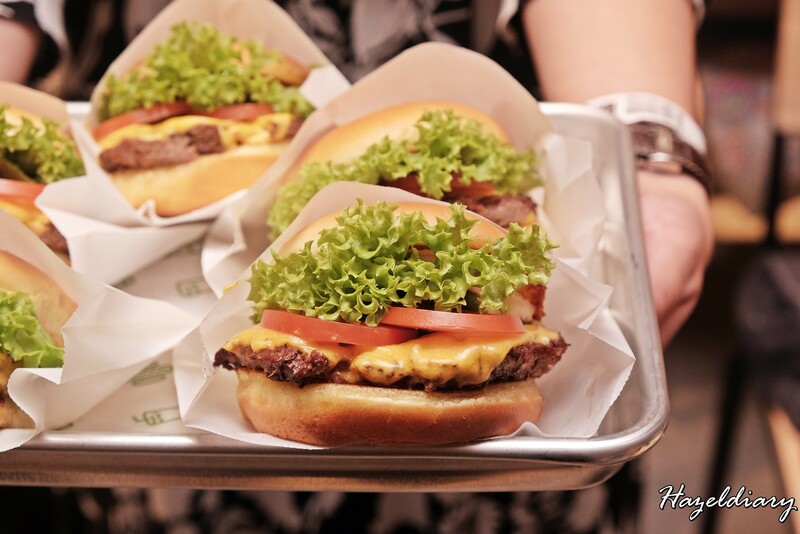 Signature cheeseburger that comes with a tender, juicy US Angus beef patty grilled to a nice medium and sandwiched between two soft, pillowy potato buns. 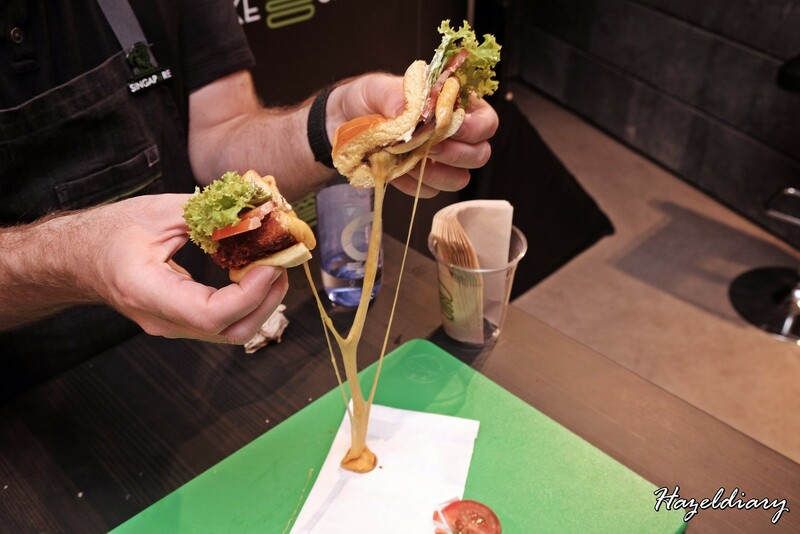 The patty is topped with lettuce, tomato and savoury secret ShackSauce. Love the potao buns as it was still soft and pillowy even after we feed our camera first. The grounded patty is on point in terms of taste and texture. The only thing I wish is the thickness can be thicker though. 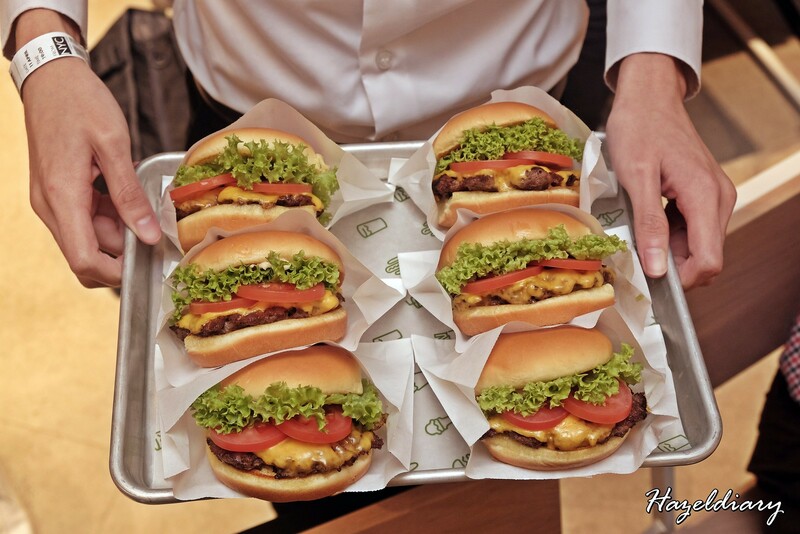 So to satisfy your craving for this signature burger, go for Double. 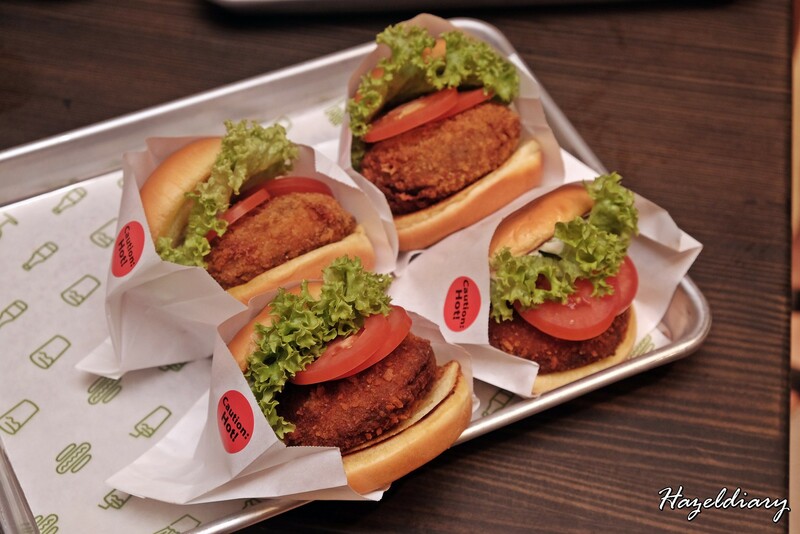 Veggie lovers can go for Shroom Burger and I would recommend to have this apart from the all-time favourite burger. This features a crisp-fried Portobello mushroom filled with melted Colby Cheese, Monterey Jack and Tilsite Cheese, topped with lettuce, tomato and ShackSauce. Be sure to capture the #cheesepull moment and make it an instagram-worthy food picture! Other burger include this SmokeShack, cheeseburger that comes with all-natural Applewood smoked bacon, chopped cherry pepper, and ShackSauce. 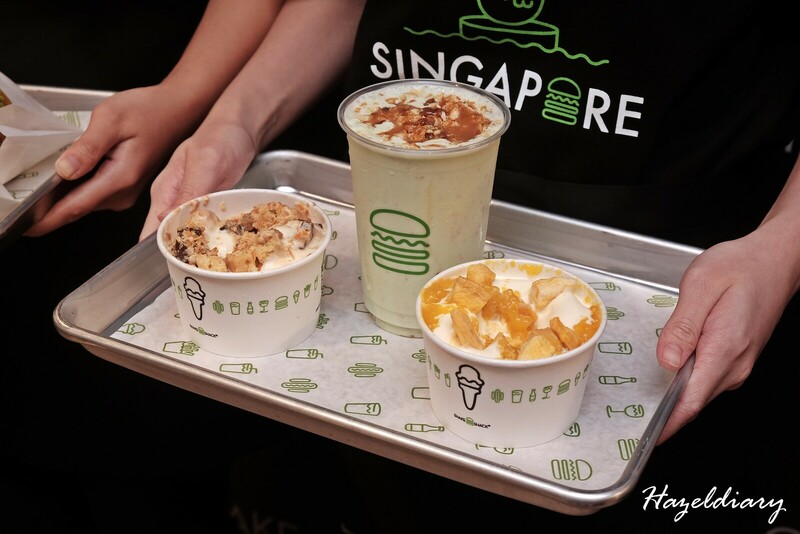 Pandan Shake is only Singapore exclusive that include vanilla frozen custard blended with pandan, coconut and topped with Gula Melaka Crumble. 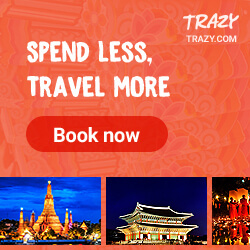 This is perfect for sweet tooth lovers and I think it is best to share with 2 persons. 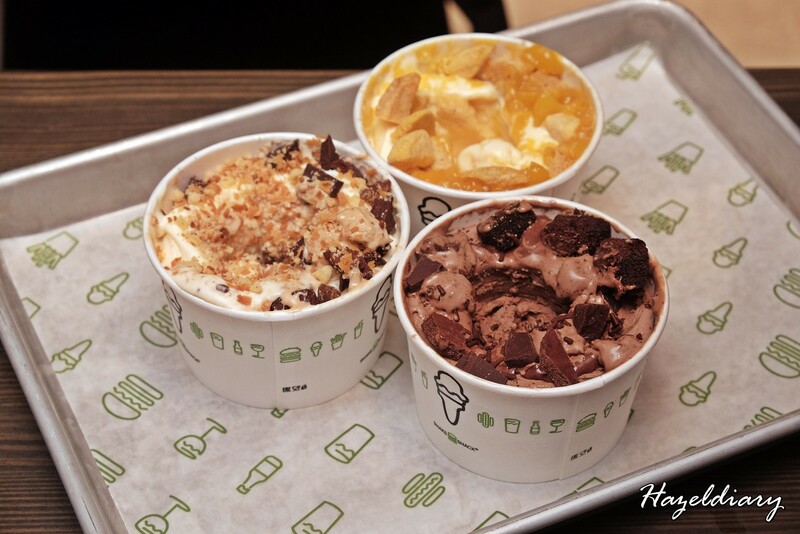 There are also other shakes flavours – vanilla, chocolate, salted caramel, strawberry, black & white, peanut butter and coffee made with Common Man coffee. 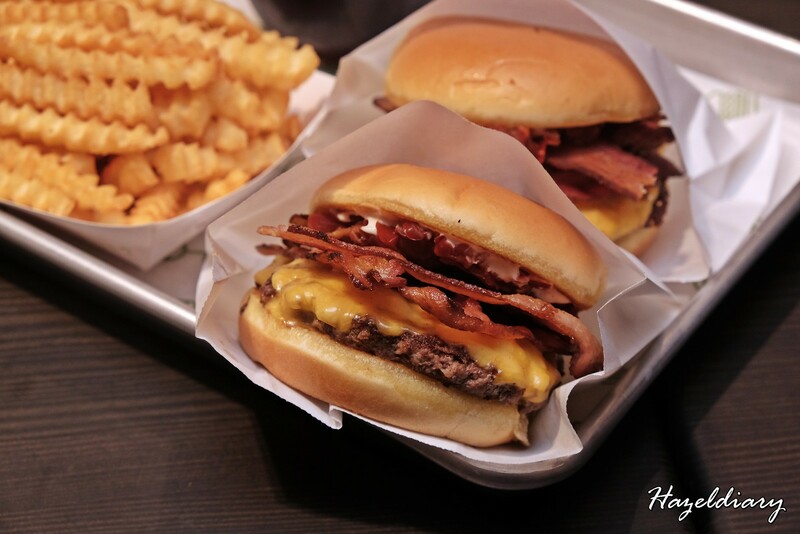 This is my second time trying Shack Shack and my first was in Tokyo, Japan. 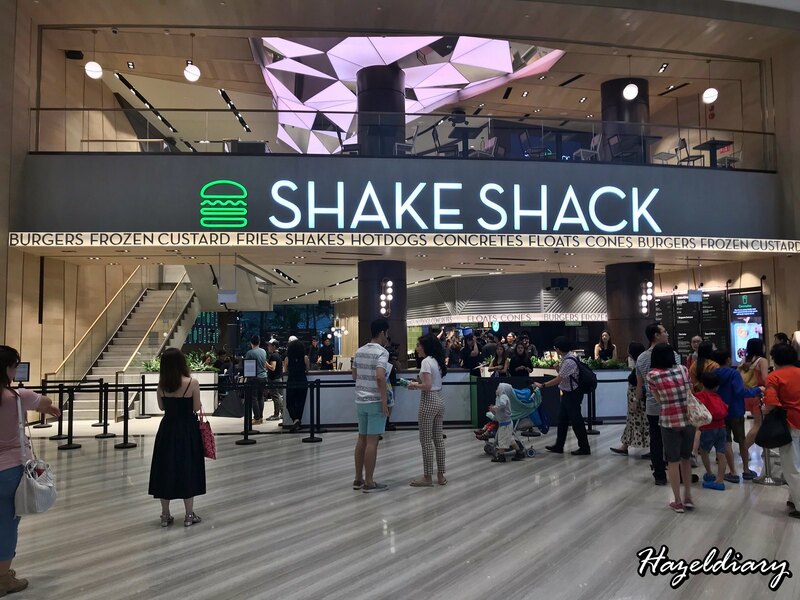 Having said, I am missing their Sesame Shake in Japan.I would foresee long queue after it’s official opening next week and be sure to prepare to queue if you are heading over soon. I will go back for their Shroom Burger for sure!